Carlsbad Caverns National Park is a stunning place whether you’re a cave fanatic or never thought twice about one. Check out the Big Room, North America’s largest single cave chamber that&apos;s as large as six football fields. The self-guided 1.25 mile paved trail takes about an hour and a half to complete, stopping to read interpretive signs on the way. There are two ways to go to and from the Big Room entrance. Hike 1.25 miles on a steep partially-paved trail via the Natural Entrance, or use the Visitor Center&apos;s elevator to descend 750 feet. A popular route is to take the mostly-downhill trail from the Natural Entrance to the Big Room, and after your tour, take the elevator up to the Visitor Center. To explore other caves, make reservations at least 48 hours in advance for a ranger guided tour, ranging from easy to very difficult. Adults tickets start at $7, in addition to your cave entrance fee. Each cave has a different minimum age requirement for children based on the difficulty of the excursion. For reservations go to recreation.gov or call 877-444-6777. Bat Flight Program. See thousands of migrating bats emerge from the caves at sunset and re-enter the caves in early morning hours (4-6 a.m.) from late April through October. The free sunset Bat Flight Program runs from late May through October at the amphitheater outside the Natural Cave Entrance and includes a ranger talk. Seating is first-come, first-serve. No electronic devices are allowed at the program including cameras, cell phones and laptops because the sounds of electronics disturb the bats. Star Walks, Moon Hikes and Star Parties. See the park&apos;s dark skies lit up by the moon and stars when a ranger leads you to the best gazing spots. Not up for hiking in the dark? Visit during one of the four summer dates that astronomers set up telescopes and help you discover planets and star clusters. Night ranger activities start from the amphitheater after the Bat Flight Program. Long pants, closed-toed shoes and red flashlights/headlamps are required for walks and hikes. Learn more at www.nps.gov/cave/planyourvisit/nightsky.htm. Scenic Drive. 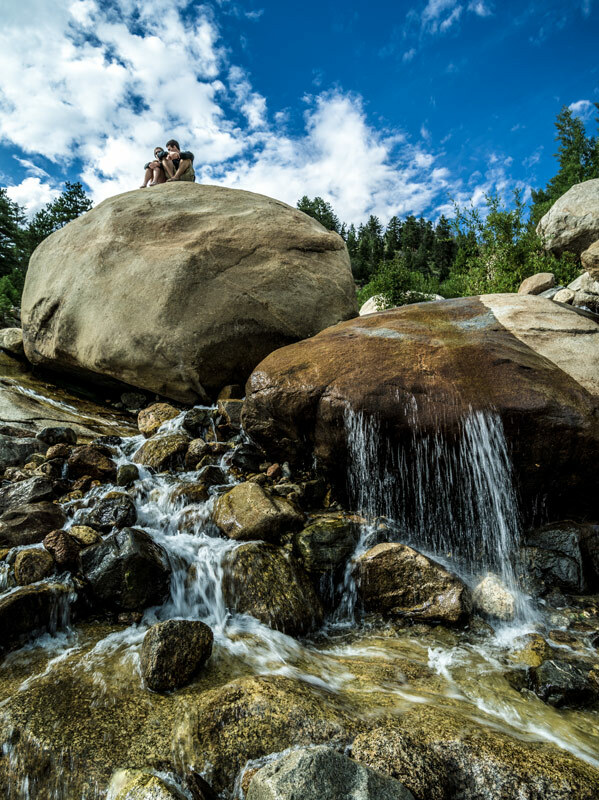 See undulating landscapes on the park&apos;s 9.5-mile Walnut Canyon Desert Drive along the rim of Rattlesnake Canyon. Keep you eye out for hawks, deer and even wild pigs. Sunrise and sunset cruises give a spectacular light show on the canyon walls. Low-clearance vehicles, RVs and trailers are not permitted on this gravel road with sharp turns. There is no park entrance fee to enter the grounds of Carlsbad Caverns National Park. Your only fees are the Cave Entrance Fee (covered with the America the Beautiful Park Pass) and Tour Fees. The cave entrance fee is $15 (as of Jan. 1, 2019) for adults; kids 15 and younger are free. In 2018, adults are $12. Carlsbad Caverns&apos; caves have strict operating hours of 8:30 a.m. to 5:00 p.m. You may not enter the caves later than 2:30 p.m. by hike or 3:30 p.m. by elevator. You must exit the caves by 3:30 p.m. by hike and 4:45 p.m. by elevator. Carlsbad Caverns lies on the edge of a time zone so your cell phone may have a hard time showing accurate time. Walking from one end of the Visitor Center to the other may have your cell phone flip flop time back and forth several times. But don&apos;t worry about missing your tour. If you arrive at the wrong time zone, you&apos;ll be an hour early. Carlsbad, N.M., serves as the gateway to both Carlsbad Caverns National Park, located 28 miles southwest of the city, and to Guadalupe Mountains National Park, which lies 50 miles farther southwest across the Texas border. It&apos;s located in the Chihuahuan Desert on the beautiful Pecos River. Hiking, golfing, and water recreation are just a few of the numerous activities to enjoy on the sunshine-filled days in Carlsbad. 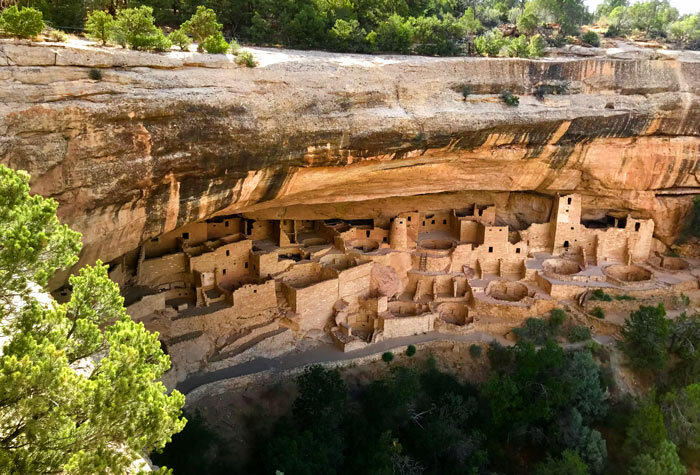 Internationally acclaimed national parks - Mesa Verde, Chimney Rock, Hovenweep, & Black Canyon; 7 scenic byways, and breathtaking views around every corner.